I usually take a few days to chew on a race result, mulling it over and maybe writing something overtly verbose and boring…but enough is enough. Lets just see what transpires here and now, shall we? Entered the week with a feline (felinine? Creative LICENCE!) 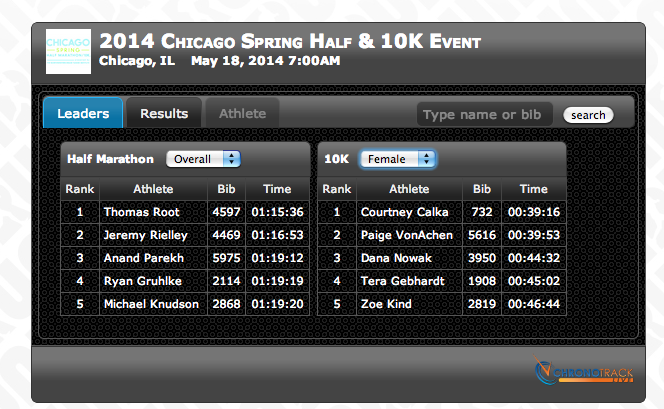 level of indifference to the race that loomed, the Chicago Spring ½ and 10k. I haven’t been feeling that up for such, due in part to a lousy spring and oh, kind of important--I thought I severely hurt my foot. Like fractured it level of hurt, which cost me a cautious few weeks of non-running and a pair of DNS (the Lakefront 10 miler and a half marathon in Kenosha), which bummed me out. Even though I know it was the smart choice, lest my potential injury be severe, it’s still not a road race action I care to revive. No worries, turns out its JUST tendonitis that seems (knock on wood, preferably a wooden pencil, which I will pick up with my toes ad nauseam) to be on the mend. I also did not pay for my entry into the 10k, due to magic. I didn’t go with my “lucky” anything, didn’t do any meticulous night before race rituals. I ate gravy last night (it was delicious). Didn’t even pack my backpack. It was just a thing I was going to go do and be done with it. So I did that thing where you curse the heavens that granted you the ability to get up at an early hour, prep in your own special way, and go on your way towards similarly minded fools. I ran an incredibly stupid 10k this morning. I haven’t raced or run with quickness on my brain since my 5k to open the year back in early April. And yet hubris lines up, anyway. I arrived and met up with an old colleague, as I picked up his race bib for him due to convenience. We walked from the parking lot, arrived to the park where the race festivities were transpiring and that buzz of energy of excitement and nervousness made its presence known. It gets me every time I intend to “take things easy.” Aww, 5:30am self. Cute. Nice try. That never happens. I went through the 5k in 22:34. Ran a 22:39 on the pretty much flat and completely unimpeded Race That’s Good for Life course in April. I hit the 4-mile mark faster than I ever have raced a 4-mile event by over 30 seconds, and ran a 38 second PR in the 10k. Did I maintain composure in the second half? Oh god, no. My form held pretty well which was nice. I just ceased moving at my initial pace. But damn if that hubris didn’t flair up as a girl passed me right before mile 6…so I stuck with her and hammered the last .2 to the finish. Maybe it is as simplistic a notion of it actually being 90% mental. Perhaps I am overwhelmingly stubborn and will myself to move quickly in a race setting (actually, this is not a perhaps statement) no matter the lack of miles or training to my legs. Whatever it may be, it’s nice to know that dumb runner brain is there when I need it most. And I’ll need it over the next two weekends, with the Solider Field 10 Miler (will my PR streak be in jeopardy? ) followed by my first Ragnar relay from Madison to Chicago. Perhaps I'll even write about it.